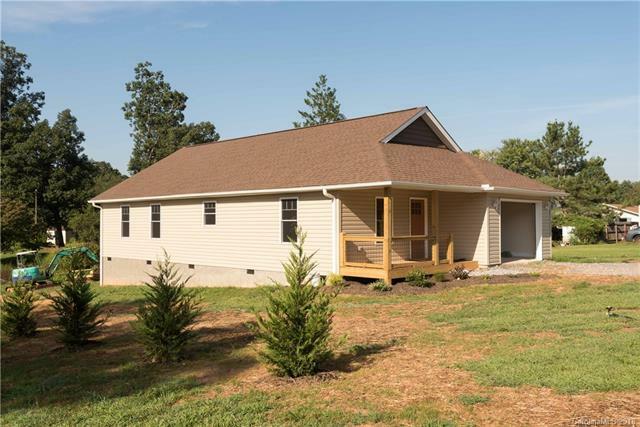 New Construction on desirable Cane Creek Road in super convenience area of Fletcher! Here's your chance to move into a brand new home with large, level yard in the town of Fletcher without being in a cookie-cutter neighborhood. No HOA! This Craftsman Bungalow features cathedral ceilings, tiled bathrooms and laundry room, flank flooring through out the rest of the home, granite countertops, high quality kitchen cabinets with slow-close hardware, and a private deck off the spacious master bedroom suite with distant mountain views. Construction Completed but taxes not accessed yet. Call today!